London's Wellcome Institute's 'The Institute of Sexology', New Zealand vampire comedy What We Do In The Shadows, David Hare's Behind The Beautiful Forevers, Robert Edric, Legacy. London's Wellcome Institute has a new exhibition entitled The Institute of Sexology which it describes as "a candid exploration of the most publicly discussed of private acts". How will our reviewers tiptoe gently around the explicit nature of what's on show? What We Do In The Shadows is a New Zealand vampire comedy film about a group of bloodsucking flatmates (a 'dracumentary' if you will) - who does the washing-up in the house of the undead? Robert Edric is an acclaimed British novelist whose latest book explores the life of Branwell Bronte - brother of the more famous sisters - whose life couldn't match theirs. Legacy is a new Danish TV police programme. What is it about the Scandi Noir genre that keeps on gripping UK audiences? Tom Sutcliffe is joined by Helen Lewis Pat Kane and Amanda Craig. The producer is Oliver Jones. 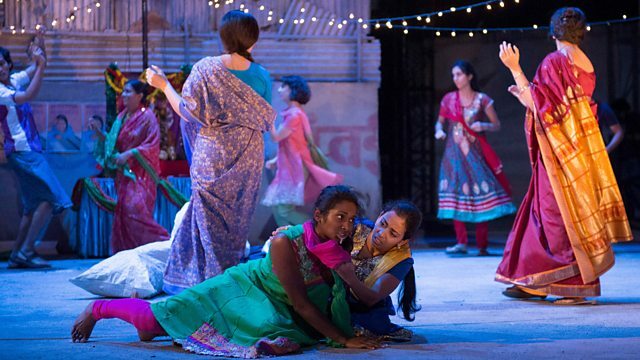 Behind the Beautiful Forevers by David Hare continues at the National’s Olivier Theatre in London until April 13th and there will be an NT Live broadcast of the play on 12th March.